The luxurious Adler is one of the best hotels in the Dolomites, offering the highest standards of comfort, service and cuisine. A superb range of spa and leisure facilities are on hand to pamper guests. 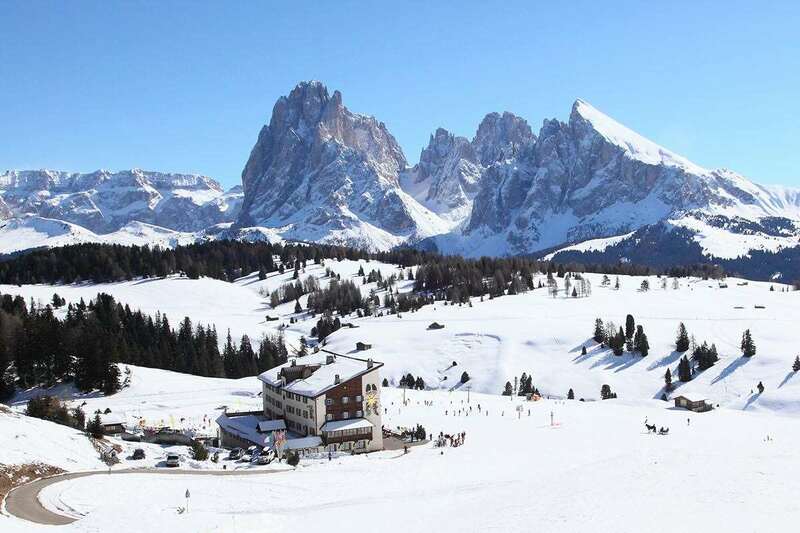 Location: The Adler is prominently situated in the centre, just 2 minutes’ walk (200m) from both the Seceda and Alpe di Siusi lifts. All rooms have bath, hairdryer, and safe, satellite TV, free in-house movies, minibar and telephone. Superior twins can accommodate 4 people and have balcony and small lounge area. Family suites for 4 people are available on request. 3 course evening meal with choice plus buffets of desserts, salads and cheeses. Dinners are often themed, accompanied by live music.